Homestay English Courses in your teacher’s home are intensive private courses which enable you to make rapid progress in English. By living and learning English in your teacher’s home, you are immersed in an English speaking environment throughout the day. Combining a homestay experience with English lessons in your teacher’s home in Malta, is an unforgettable experience that will boost your level in English. Communicate in English outside lessons in class by speaking to the family and to other students. Improve your English communication skills by listening to a variety of people and accents! Focus on targeting your specific problems in English with custom-designed private English lessons to fit your needs. No need to travel to school everyday! 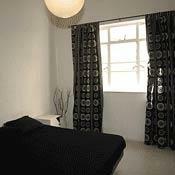 Just walk downstairs for your lessons and enjoy daily home-cooked meals with the family. 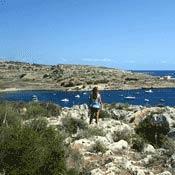 Your teacher’s home is ideally situated in Sliema, Malta. You’ll be minutes away from the beach, the cafes and shopping centre whenever you feel the need to take a break. The sunny island of Malta with its history, culture, nightlife & range of adventure sports guarantees a wonderful holiday for students of all ages and interests! Hi, I’m Maureen but most students just call me Mo. 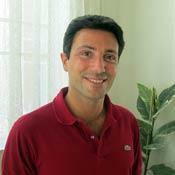 I am a native ENGLISH speaker with years of experience teaching English to foreign students. I specialise in assisting students in improving their pronunciation, speaking and listening skills. In addition to holding a B.A. (Hons) Degree in English and completing the CELTA (Certificate in English Language Teaching to Adults), I am now in the final stages of an M.A. TESOL (Master’s in Teaching English as a Second Language). 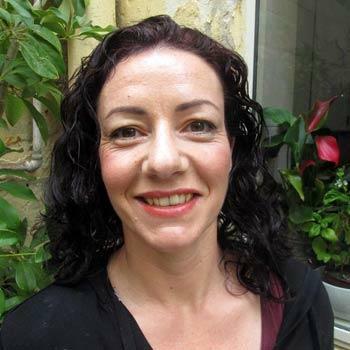 I have over 15 years experience teaching English to students both in Malta and overseas. 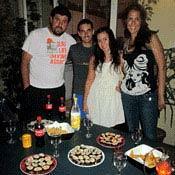 Homestay English Courses in your teacher’s home are a convenient and flexible option for students. Our home is situated in central Sliema, Malta and is just a minute away from the sea, shops, cafes and other tourist conveniences. A range of course options are available. We offer One-to-One Courses, Mini-Group Courses, Active Immersion Courses and Business English Courses. As you will have the benefit of coordinating directly with your teacher both the course content and the lesson time-table are organised to suit your requirements. Student’s may choose a One-to-One English Course which is a course of Private Lessons designed entirely around each student’s needs and preferences. Students who prefer not to live in the teacher’s family home can book a course of private lessons only. 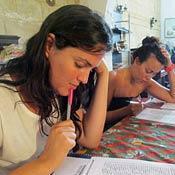 Mini-Group English Courses are a good choice for family members or friends travelling together. The Standard Mini-Group Course offers lessons in the home while the Active Immersion Course will take you outdoors and allow you to practice your English in context by visiting places of interest in Malta with your teacher. All English Courses may be booked with or without accommodation in your teacher’s home. We are fully licensed by the MTA and ELT Council.